We’ve been presenting live entertainment in a friendly environment since 1981. Best known as a comedy club, we also host music gigs of all genres, spoken word, magic shows, sketch nights…anything as long as it’s LIVE & GOOD. In over 30 years of continuous operation, you'd be hard-pressed to find acts that haven’t played Downstairs…. And from 19th October, the venue will be better than ever. New Sound System, Lights, Furniture and Décor are in place, as well as the facilities to broadcast and record. 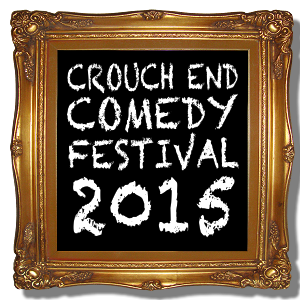 The Crouch End Comedy Festival is taking place Downstairs at the King’s Head,and at Hornsey Town Hall, the Art House Cinema and Earl Haig Hall. The shows feature STELLAR line-ups from the last 30 years of Comedy and the stars of tomorrow. Plus a lot more famous names “dropping in” unannounced…. 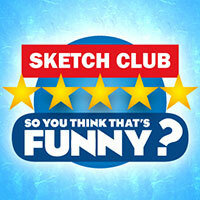 And a SKETCH NIGHT featuring top sketch acts. To find out more, and sign up for inside information, please visit the festival website(s) and follow the links. Or you may want to take a lucky dip and book straight away…. Note that purchases are limited to a maximum of 8 tickets.